Autumn is upon us and I for one am already in full-on cosy mode with the nights closing in earlier each day. There's just something I love about Autumn that I can't explain, maybe it's the magical feeling of Halloween and knowing Christmas is on it's way or just the fact that the lazy person in me loves to hibernation and snuggle under a blanket. So in love of Autumn I thought I'd complete an Autumnal tag today. Winter is coming upon us and I for one am already getting excited as this is my favourite time of the year. The nights are closing in earlier each day which means more time wearing fluffy socks and cuddling on the sofa. There's just something I love about Autumn that I can't explain, maybe it's the magical feeling of Halloween and knowing Christmas is on it's way or just the fact that the lazy person in me loves to hibernation and snuggle under a blanket. 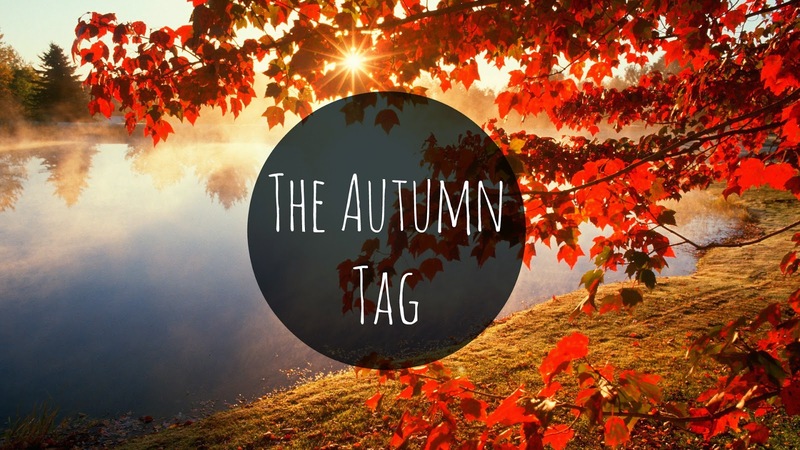 Because of my love for Autumn, I thought I'd complete an Autumn tag today! Yay! 1. Ok we're talkin coffee's - what's your favourite seasonal drink from Starbucks/Costa/Cafe Nero etc? I don't actually drink coffee, hot chocolate or any hot drink for that matter! There's something about warm drinks that make me feel a little queasy and I will normally opt for water or squash :( I guess I fail at this part of Autumn/Winter. 2. Accessories - what do you opt for; scarf, boots, gloves? All of them? I love wearing my boots as let's be honest, not many other pairs of shoes are suitable for the Winter weather. I also love wearing my scarf and hats but I normally get annoyed wearing my gloves. I hate wearing them when I'm out and about as they normally makes my hands get too hot and sweaty! They're great for driving though as the steering wheel is normally freezing to touch in the morning! I don't actually have any a particular brand or scent in mind at the moment but I tend to go for something that little more "musky" and a little less fresh and floral. My favourite scent last year was my Ricci Ricci by Nina Ricci. For my birthday in August, my mom brought me a small jar of Amber Moon from Yankee Candle and I absolutely loved it. I've ran out now but I would totally re-buy as it was just a perfect Autumn scent. Other than that, I love any "Christmas" special candles around this time. Anything with Cinnamon or Spiced Apple is great! I love the month of October because it's still kind of warm and sunny outside and everything looks so beautiful. I really love watching movies cuddled up on the sofa with a bowl of popcorn wrapped up in a blanket! Bring on the movie sessions! I tend to push my Summer colours to the back of my make-up drawer and opt for my more browns, neutrals shades and maybe even a dark plum on my lips. 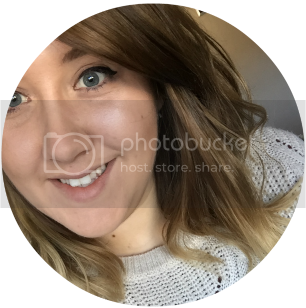 I use my Undress Me MUA palette a lot more in the colder months as well as you can't go wrong with a nice metallic brown on the eyes. I think this one kinda goes the same for number 6 but one thing I love about Autumn is the sunsets and sunrises. 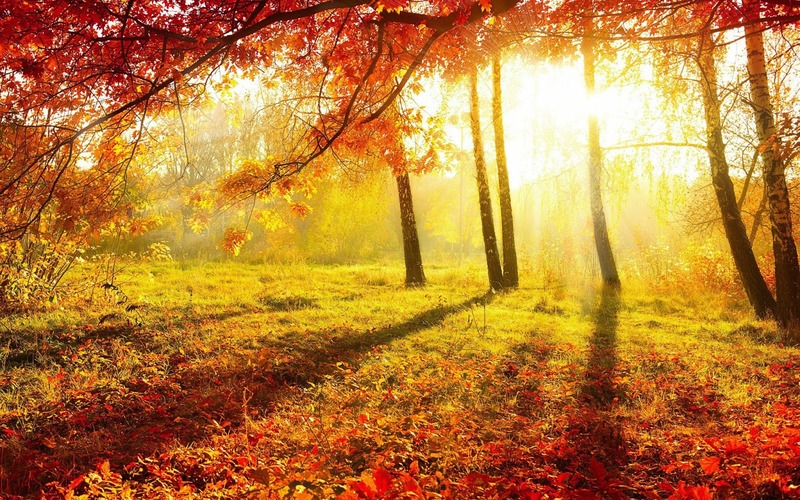 I love the way you sun looks when it coming up in the morning and especially when the light is bouncing off all the beautiful yellows, oranges and reds from the leaves in the trees and on the floor. Do the tag for yourself!